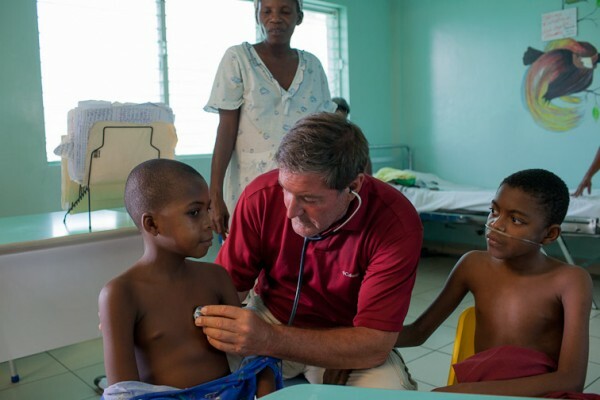 Father Rick Frechette, CP, DO, oversees the 120-bed St. Damien Hospital, which provides long-term care to critically ill children and outpatient services to over 30,000 children and adults each year and assuring the healthcare at the NPH orphanage, St. Hélène. Akron Children’s Hospital will tweet live from its Global Health Conference on Friday, Oct. 12, from @childrens_cme, #GHconf. The conference will focus attention on the children of Haiti, with workshops covering public policy, case presentations, and personal stories from doctors and nurses who’ve provided care in Haiti. The featured speaker will be Rev. Rick Frechette, DO, an internationally renowned physician, priest, author and advocate for the children of Haiti. In his presentation, he’ll describe how the lack of resources presents major obstacles to medical care; review creative ways to face these obstacles; and review the rewards of practicing medicine in austere settings. The conference will also feature guest presenters Dr. Frederick Burkle, Jr., a senior fellow and scientist with the Harvard Humanitarian Initiative, and Dr. Michael Koster, a clinical assistant professor of pediatrics at Brown University and a hospitalist and infectious disease physician at Hasbro Children’s Hospital. Dr. Burkle will discuss the future humanitarian crises as well as the impact of the humanitarian health workforce on global health. Dr. Koster will review global trends and the incidence of meningitis and pneumonia, as well as the development of academic partnerships for global health. 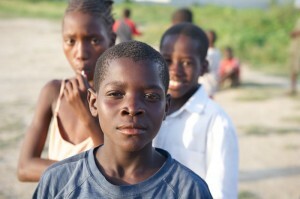 In 2010, Akron Children’s Hospital entered into an affiliation agreement with St. Damien Hospital, which is the only pediatric hospital in Haiti. In addition to the donation of supplies, the affiliation will focus on training. Other sessions will focus on international adoptions, a resident’s perspective of global health, and the challenges and rewards of nursing in Haiti. Follow @childrens_cme on Twitter for medical education news, updates and more from Akron Children’s Hospital.